Lafarge India has submitted a revised proposal to the Competition Commission of India (CCI) to sell its entire 11-million tonne (mt) asset in India. This decision comes after the company’s plan to sell its 5.15-mt cement capacity in Chhattisgarh and Jharkhand to Birla Corporation for Rs 5,000 crore (Rs 50 billion) ran into trouble. Investment bankers said the M P Birla Group company was facing challenges in securing limestone mining rights for the two units. France-based Lafarge and Swiss cement giant Holcim announced a global merger in April 2014 to create the world’s largest cement company. This raised eyebrows of anti-trust watchdogs in several countries. In India, Holcim, through its control of Ambuja Cement and ACC, has 60 mt of capacity. Lafarge, on the other hand, has a capacity of 11 mt in India, of which 7.8 mt (70 per cent) is in Chhattisgarh, Jharkhand and West Bengal. Holcim’s ACC and Ambuja have capacities of 6.1 mt and 4.6 mt, respectively, in India’s eastern region. A simple merger would have led to a capacity of 18.5 mt in the eastern states for Holcim-Lafarge, which would have been more than 40 per cent of the estimated 46 mt of total capacity in the region. This led to a scrutiny by the CCI. The CCI had asked Lafarge India to sell its 5.15 mt capacity in eastern India by December 31 to complete its global merger. In August 2015, Birla Corp had agreed to buy the proposed assets along with brands Concreto and PSC and mineral rights over adequate reserves of limestone. The deal was conditional on Birla Corp being able to secure mining rights that Lafarge had. “Lafarge India has sought an extension of its deadline from the CCI to complete its divestment,” said an investment banker familiar with the development. “Lafarge India has now put the entire company on the block, as the sale of the entire company will include transfer of mining rights." A Lafarge India spokesperson said: “We do not wish to comment.” Birla Corp didn’t respond to queries by Business Standard. Birla Corp is also in the race to acquire Reliance Infrastructure’s 5.6 mt capacity, which has been put on the block. The M P Birla Group company is competing with JSW Cement to buy this capacity, which is valued around Rs 5,000 crore. “For Birla Corp it does not make sense to buy Lafarge assets without mining rights, so they have backed out,” said another banker familiar with the deal. “They are now actively scouting for other assets in the market,” he said. 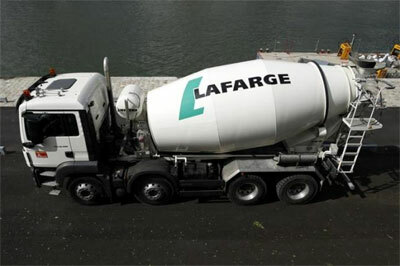 Bankers say there will be a new bidding for Lafarge India, which will be valued at Rs 11,000 crore (Rs 110 bilion).